I’ve got a Wave, and I think it’s similar enough that I can comment on a few points here. First, the all-locking tools. You’re right, it’s not necessary on all the tools, but it is pretty nice to have on the screwdrivers, and even the can-opener if you’re like me, because I’ve never opened a can at work, but I do use the can opener as a makeshift awl. The design of the lock is very simple, easy to operate, and having it lock on every tool is just as easy as excluding some of them would have been. Second – the stand-alone flat head screwdriver. It’s much thicker, heavy-duty compared to even the biggest flat head bit you can get for the swappable driver tool. It can be used with a lot more torque, where the thinner blades on the bits will twist/warp. It does not, however, make a fantastic prybar – or at least mine didn’t, and it’s now somewhat shorter than it used to be. My feelings on the locking tools are kind of complicated. If it doesn’t add any weight, I’m on board. Otherwise….maybe apply it judiciously. I suppose an extra half ounce or so doesn’t matter in this class, so I might just be nitpicking. Good point (and thanks for the heads up) on the stand alone screwdriver. I’ll keep that in mind. Excellent review! Such is why I chose the Wave. Can’t fault you for your choice! Good review. FYI, those torx bits with the pins are called security torx. You can get security torx bits at most hardware stores. Thanks for clarifying that for us. Excellent point. Thanks for the tip! I’ll try and track some down. I found my Charge in a used car I bought. Admitingly, its clunky, but acceptable. As for the locking feature, the blade is SHARP. I would not want it to fold onto my finger. Dave, That is a pretty good pickup to find in a used car! It’s a big tool, but well made. Great for keeping in the glove box or center console “just in case”. I hope you enjoy it. What would you guys recommend as a special gift, a charge plus or charge tti? Laura, How about a Charge Plus TTi? I have been confused between the two and finally decided on the tti. I just want to know what makes the tti better than the charge plus? 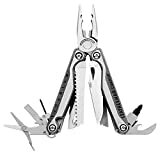 Laura, My understanding is that Leatherman updated the pliers on both the Charge and Charge TTi to include user replaceable wire cutters in the jaws. They now refer to these models as the Charge Plus and the Charge TTi plus. 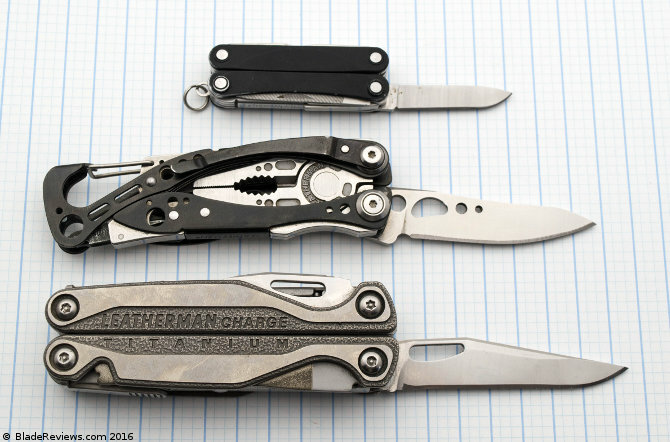 The Charge TTi has upgraded titanium handles, better blade steel (S30V instead of 154CM), is a little thinner, and is 11 grams lighter. So there are some small upgrades when you go to the TTi. Thank you so much for the information Dan! much appreciated!